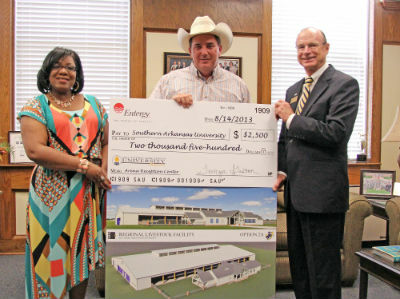 Tongia Gaston, Customer Service Manager with Entergy Arkansas, presents a $2,500 check for the Southern Arkansas University Story Arena Reception Center to Dr. David Rankin, right, President of SAU, and Rusty Hayes, SAU Rodeo Coach. The Entergy investment represents a commitment not only to SAU, but to the community and the region. The Reception Center, now under construction, will provide amenities for the public attending events in Story Arena. 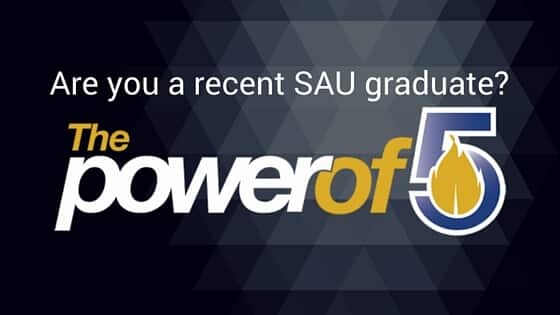 Others interested in participating in the project may contact the SAU Foundation at 870-235-4078 or visit www.saufoundation.org.